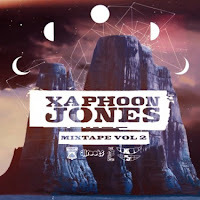 Xaphoon Jones, producer of hip hop two-some Chiddy Bang, dropped his second mixtape earlier in the week - 'Xaphoon Jones Mixtape Volume 2'. You can download the whole thing for free by clicking on the title. For me though, it's all about the mashup of 'I Want You Back' by The Jackson 5 and Passion Pit's 'Sleepyhead'. The mashup takes some of the other-worldly-ness of 'Sleepyhead' to the dancefloor in an impressively joyous fashion. As far as I'm concerned, the weekend's already begun.